Maryland Nanny Agency - the first point of contact for any family looking for a Qualified Caregiver! It's as simple as ABC! ABC Nanny Source is dedicated to offering families extraordinary service and lasting placements! We have upheld the reputation of being the area's most trusted provider of in-home childcare services! ABC has earned the trust of families throughout Maryland. This agency is built on a strong foundation where family always come first! A Nanny that comes directly to your home relieves you of these burdens and is an excellent alternative to daycare! ABC understands that families in the Maryland area are in need of an agency that will take the time to thoroughly screen each candidate as if they were searching on behalf of their own children, and that is exactly what our Placement Counselors do on a daily basis! 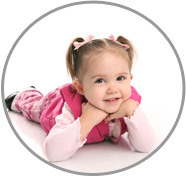 ABC Nanny Source only accepts Nannies suitable and qualified to welcome into our own homes! Helping families in the community to find a candidate who is warm, personable, and responsible is what ABC Nanny Source makes the top priority! The agency realizes that we are taking on an extremely personal challenge to find the perfect Nanny for your family, and will walk with you side by side through the whole process to make it as easy as possible for you. ABC Nanny Source promises to go above and beyond to meet all of your childcare needs, as we are a family owned agency with many years' experience both personally and professionally! ABC Nanny Source Placement Counselors have earned the reputation for having the highest level of customer service. If you are searching for a Nanny Agency in Maryland that can provide qualified, professional, career nannies to local families, contact ABC Nanny Source first! You won't be disappointed!